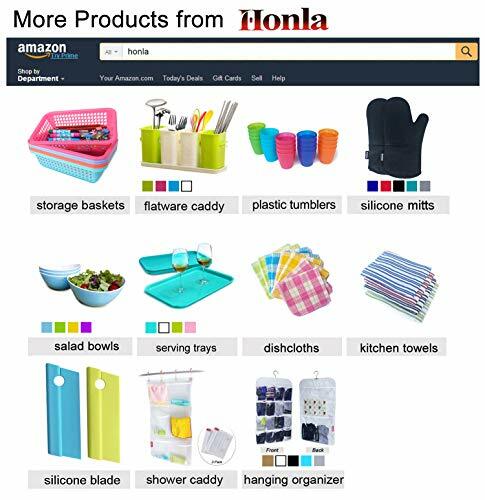 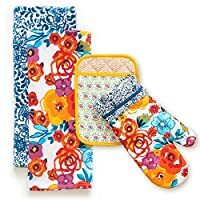 Cotton twill and silicon pattern design,flexible and nonslip pot holders,100% FDA approved & BPA free,safe in touching food,silicone palm on both sides for right or left handed use. 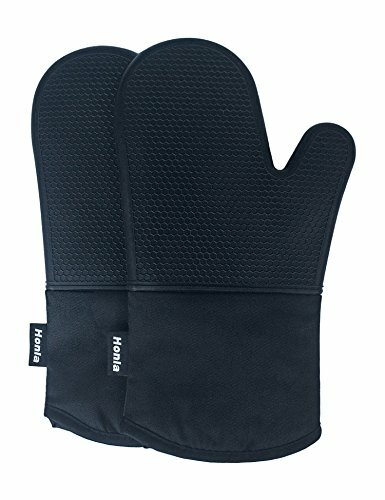 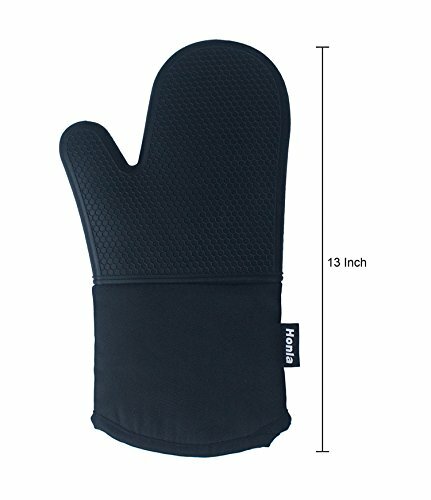 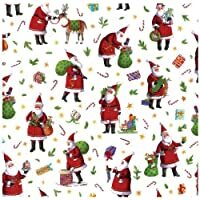 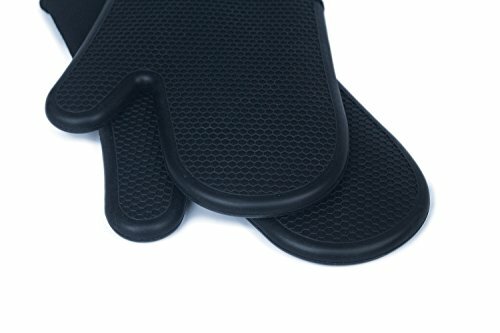 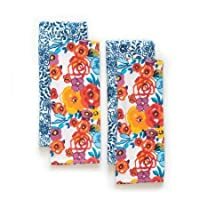 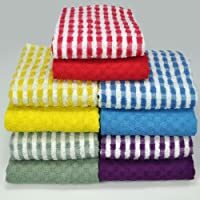 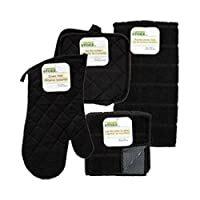 13″ long,deluxe cotton quilted & terrycloth/terry cloth lining,professional oven mittens,providing a comfortable and soft grip for your home or restaurants baking. 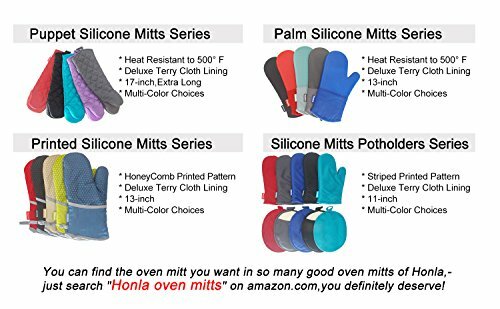 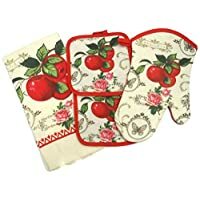 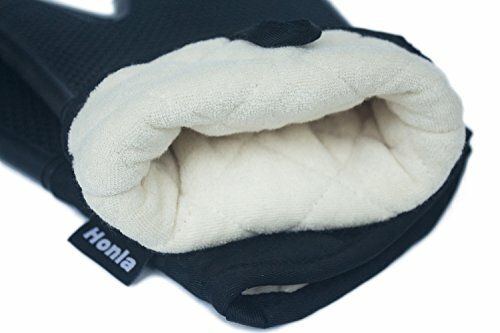 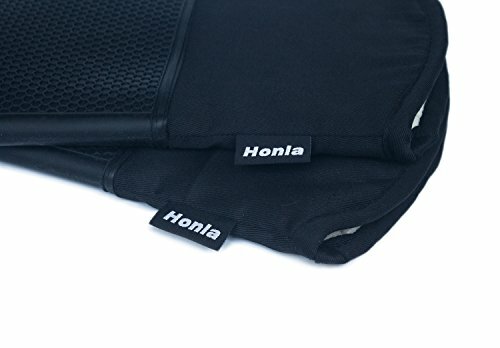 Size: 13″ x 7″,well insulated and better heat protection,one size fits all cotton quilted oven mitts,loop design for hanging hook storage,set of 2 oven mitts.